The First UK CoEMS Tweet Up! Its about time that some of us in the UK got together under a common banner and had a day out and a whole lot of fun. I have had some great times in the States, and have been privaledged and honoured to meet so many of my blogging and professional peers and online friends, but I have yet to do the same in the UK. I know I have called this a CoEMS Tweet up, but to be honest, it is highly likely that I will be the only representative of the Chronicles of EMS at this event (Unless Justin, Ted and Chris Eldridge decide to make an appearance – you never know!! ), but I guess it is the Chronicles that have brought so many of us together anyway, right? We continue to come into problems over getting permissions to film an episode of the Chronicles over here, but that isnt going to stop us having a bit of a party – Oh No! Both Mrs999 and I have made so many friends via twitter and the internet but we havent have the pleasure of meeting in person yet, and we are hoping that this could be the chance for some of us to get together for a bit of fun, and more than a few drinks on the night time. We have chosen this date so that we can have a full day in the park, and then for those that want to, will spend the night at the Alton Towers hotel, where a tipple or two can be enjoyed. The next day will be a day of fun in Splash Landings water park before heading off in a haze of memories and probably a banging hangover. Those of us in the NHS can enjoy a discount to stay in the Alton Towers Hotel as well as reduced priced entry tickets. Those of you not in the NHS can still enjoy these discounts by booking through Sandra and I, or your own NHS friends if you have some. I have mentioned this on Twitter and already have 15 or so people stating that they will be coming, but we need to get organised and follow up on things and get some rooms booked for those who want to stay over. Please, please, let me know as soon as possible if you are going to be coming, especially if you plan on staying in the hotel, and remember, this is not just for medics or those in the NHS. 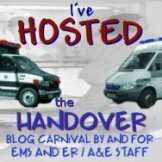 If you read this blog or know us from Twitter or know someone who knows someone, who knows someone who follows the Chronicles of EMS, then this is for you too. Come and say hello and have a great day out. Either let me know in the comments or if you would rather, send me an email to mglencorse@yahoo.co.uk. Going to be a good one, We need the UK to bridge the Ocean!! !